Keep checking in for all the latest news, photos and match info. 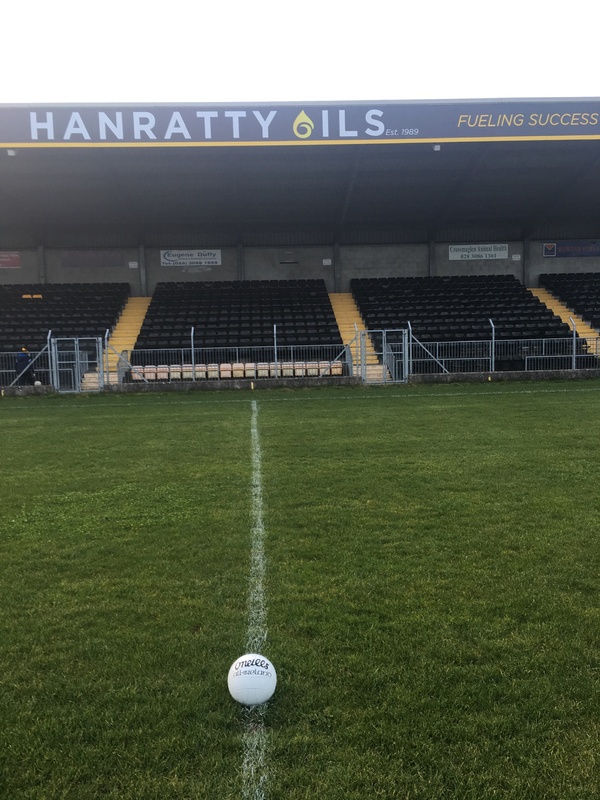 Donnelly Fuels will sponsor the ball for our Senior league fixture against Maghery on Saturday evening. Many thanks to Kieran and the Donnelly family for your sponsorship and support. Posted: April 21st, 2019 under Club News. This week’s online notes have been sponsored by Happy Faces, Fords Cross. Thanks very much to Fiona Campbell and family for your sponsorship and support for the club. If you would like to sponsor the online notes, please email [email protected] or telephone, 0876659126. Posted: April 14th, 2019 under Club News. Colm Devlin, Centra, Crossmaglen will sponsor the ball for our Senior league fixture against Ballymacnab on Friday. Many thanks to Colm for your sponsorship and support. 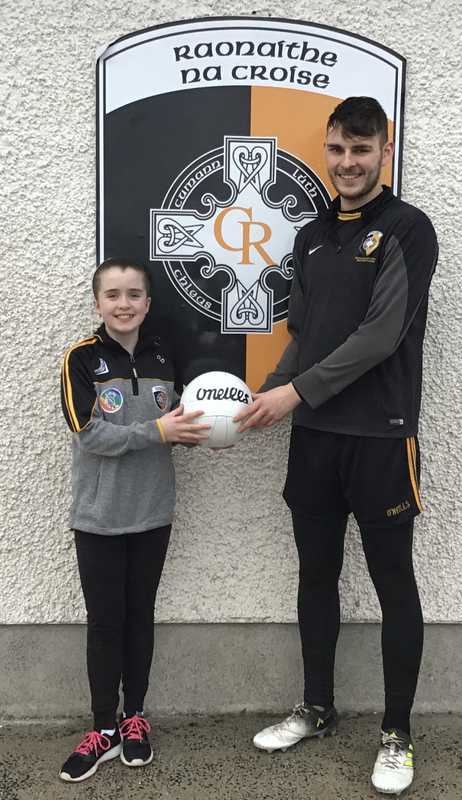 St Colmcilles, Grange are currently putting all their energies into fundraising in support of their underage player, Katie Rose McKeown. Katie Rose is just eight years old and battling stage-four high risk neuroblastoma. Potential lifesaving treatment which is not available on the NHS will cost hundreds of thousands of pounds. 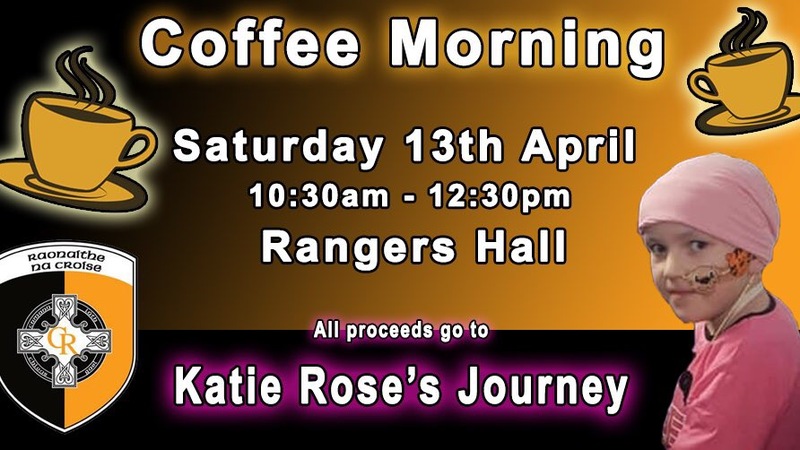 To show our support for Katie Rose and her family, we are hosting a coffee morning this Saturday, 13th April in the Rangers Hall from 10.30am-12.30pm. Please some along and support this important event. 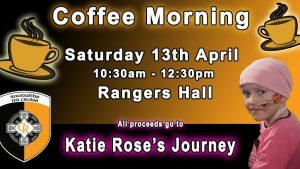 Anyone who would like to help at the coffee morning, please contact me. Posted: April 7th, 2019 under Club News. We all send our very best wishes to Aaron Haughey who suffered an injury during the Féile match on Saturday afternoon. Wishing you a speedy recovery Aaron. The boys were members of the St Colman’s college, Newry team who beat St Mary’s, Knockbeg to win the Paul McGirr Cup. What a fantastic achievement. 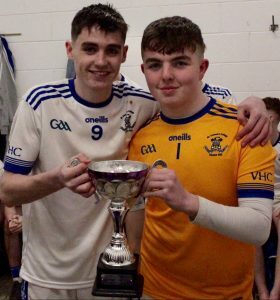 We send our heartiest congratulations to Conor, Ronan, team & management on a marvellous victory and what a proud day for all their families and school. St Colman’s College 3-06 St Mary’s Knockbeg 0-14. Posted: March 31st, 2019 under Club News. 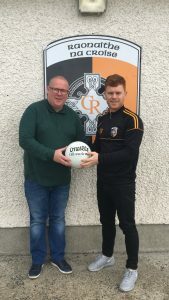 The Cross Square Hotel will sponsor the ball for our opening Senior league fixture against Killeavy. Many thanks to Gerard, Geraldine & staff for your sponsorship and ongoing support. 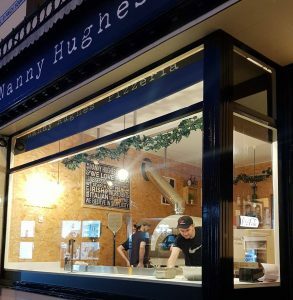 This week’s online notes have been sponsored by Nanny Hughes’s Pizzeria, The Square. 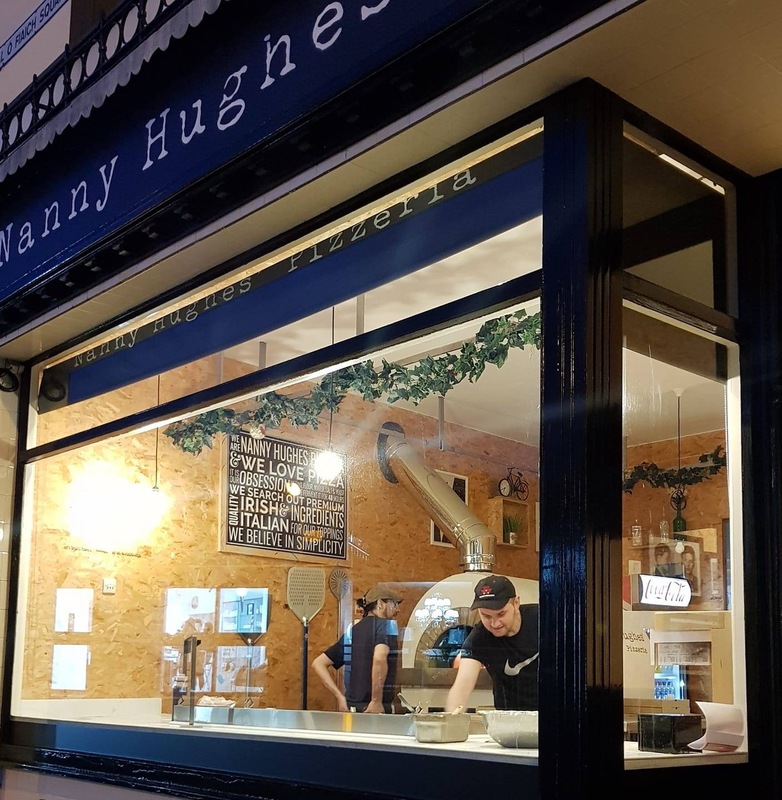 Thanks very much to Patrick and all the crew at Egg & Nanny Hughes’s Pizzeria for your sponsorship. If you would like to sponsor the online notes, please email [email protected] or telephone, 0876659126. Posted: March 24th, 2019 under Club News. This week’s online notes have been sponsored by Carragher’s Oil4u.ie. 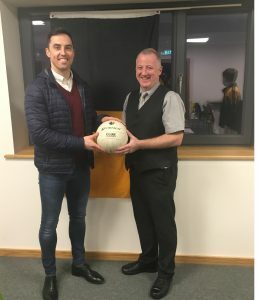 Thanks very much to Francis, Kyle and the Carragher family for your sponsorship and ongoing support for the club. If you would like to sponsor the online notes, please email [email protected] or telephone, 0876659126. Due to the bad weather, the pitch was unplayable on Friday for our clash with hosts, Burren. The game will now be played on Sunday 24th March at 6.00pm. Prevention is the best cure when it comes to littering and looking after our community. This Saturday 23rd March, our senior teams along with club members from U10’s upwards will undertake a massive clean-up on all roads leading into Crossmaglen and the town itself. Our aim is to bring the community together to make Crossmaglen a cleaner and better place and highlight the importance of looking after our community and taking pride in our area. The event will be known as Crossmaglen Community Clean-Up. 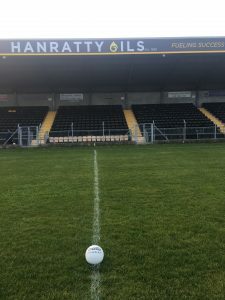 We would urge all club members from U10’s upwards in both our football and camogie club to join in and make our club grounds and local community spotless. The Crossmaglen Community Clean-Up will be one of the most exciting campaigns ever to hit Crossmaglen and we are delighted to receive the backing of our club committee and Newry, Mourne and Down District Council to help us to do our bit to clean up the environment. It only requires a few hours of everyone’s time and getting involved will be great fun as well as very worthwhile. We fully believe with the correct planning and support structures that Crossmaglen Community Clean-Up will be a huge occasion and a massive success. Posted: March 17th, 2019 under Club News.